Join Sally & Nicola to make artwork that with feature in their final exhibition in May. They welcome anyone who is handy with a needle and thread, who can help assemble some furniture, or wants to try different activities. Even if you don’t like making you can still come along, have a cuppa and tell us some stories about yourself. 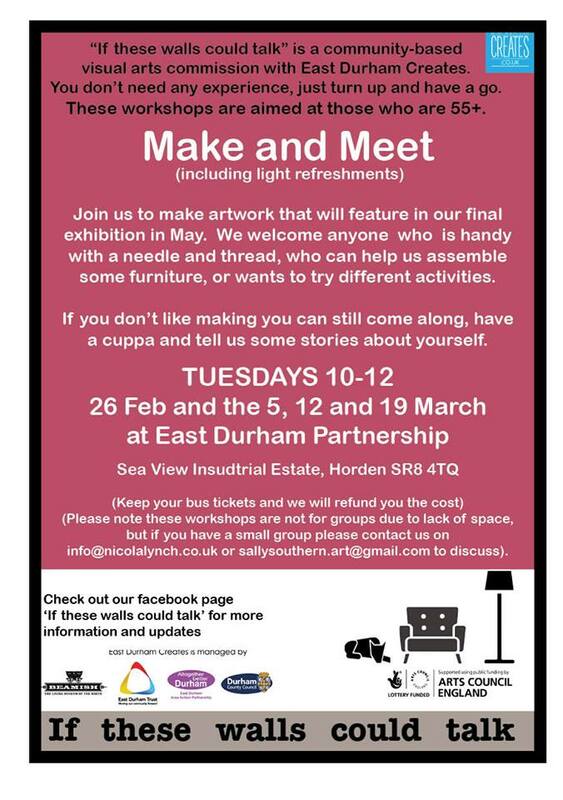 If you are aged over 55 and would like to help us make and create, come along to East Durham Partnership on Tuesday 26th February, March 5th, March 12th and 19th March from 10-12 and find out how you could get involved.